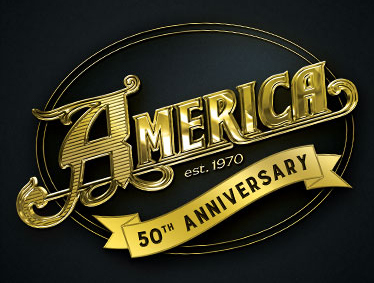 The year 2018 marks the 48th Anniversary of perennial classic-rock favorite, America. Founding members, Gerry Beckley and Dewey Bunnell (along with former band mate Dan Peek) met in high school in London in the late 1960s and quickly harmonized their way to the top of the charts on the strength of their signature song "A Horse With No Name." America became a global household name and paved the way with an impressive string of hits following the success of their first #1 single. Forty plus years later, these friends are still making music together, touring the world and thrilling audiences with their timeless sound.